The Cottages on Charleston Harbor new holiday package, The Lights and Ice Holiday Package, includes tickets to some of the top holiday attractions in the Charleston area: family ice skating at Carolina Ice Palace and passes to attend the must-see Charleston event, the 29th Annual Holiday Festival of Lights. Recognized by Coastal Living as “One of the Top 10 Holiday Celebrations,” The Holiday Festival of Lights is an incredible family attraction, with three miles of more than 700 magical light displays of all shapes and sizes, a Victorian carousel, sand sculpture made with more than 50 tons of sand, holiday train, Santa Clause, bonfires, shopping and food. The Lights and Ice Holiday Package starts at $493 per night and is available from November 1 – December 31. For more information or reservations, please call (843) 849-2300 or visit www.thecottagesoncharlestonharbor.com. 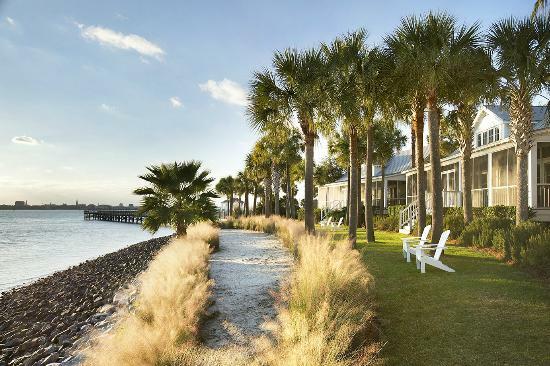 Named one of Southern Living’s “Best Places to Stay,” The Cottages on Charleston Harbor features 10 harbor front cottages with upscale décor, surrounded by lush landscaping and shaded by Palmettos. Each two bedroom, three bath, 1,300 square-foot cottage has a fully stocked kitchen, private screened porch equipped with rocking chairs, a Pawley’s Island hammock, table and chairs. Heart pine floors, gas fireplaces, leather club chairs, cathedral ceilings and walls of windows provide substance and warmth. Pillow top mattresses, luxury linens, custom bath amenities, deluxe spa-style waffle bathrobes, flat screen HDTVs and a Bose stereo all contribute to the comfort and relaxation. High-speed wireless connectivity is available in all cottages as well as the Clubhouse.